Being a student at University College Groningen means you'll be part of a community and you'll live in UCG accommodation for the first year of study. After the first year students may choose to stay at the UCG accommodation or to find other accommodation. 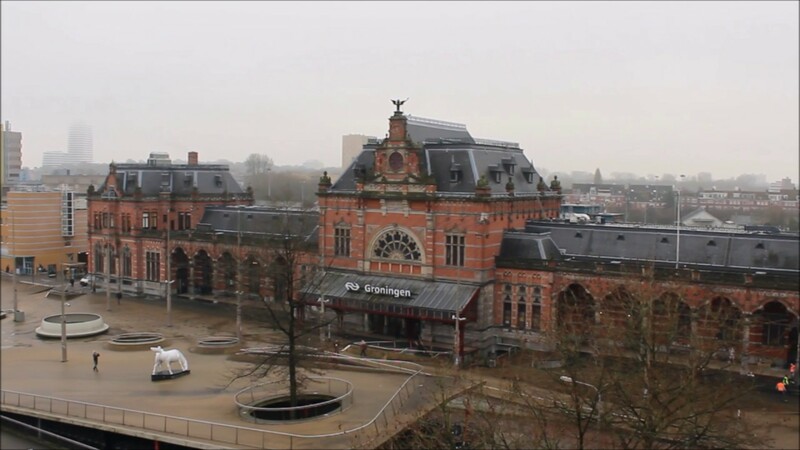 Our students live at the Frascati International Students House, situated next to Groningen train station overlooking the Zuiderhaven canal, and just a few minutes away from the UCG campus building and city centre. Students have their own furnished bedroom which is part of a unit consisting of 8-10 rooms. In each unit there is a kitchen, common room and bathroom facilities to be shared by the students in that unit. The building also has a laundry room, sports facilities and lockable bike shed. The building is managed by SSH, the independent non-profit organization providing student housing in Dutch cities. Once you have confirmed your place on the BA/BSc Liberal Arts and Sciences programme you will need to register for your accommodation on the SSH website. *Note: As your room will be part of a unit within a building and will not have its own front door, it is not possible to apply for housing allowance. Do you want to be informed about the latest updates on UCG and the student housing? Sign up for our monthly newsletter!